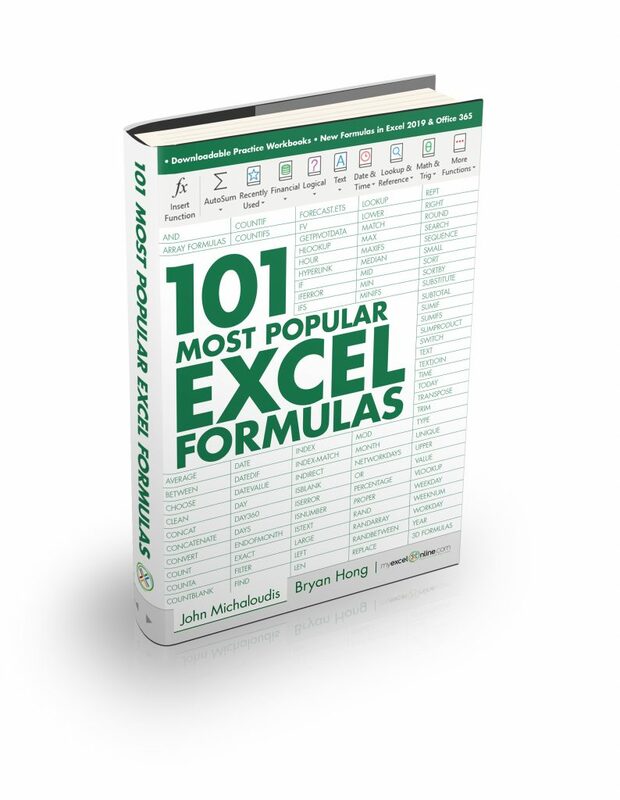 Have you ever had the scenario where you are working on your Pivot Table and the Field List disappears? 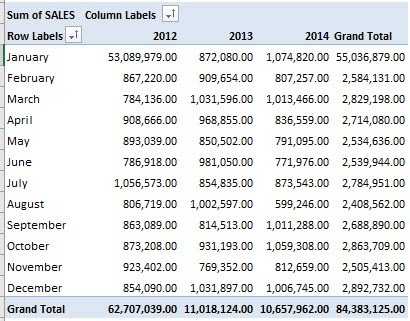 If your Pivot Table Field List disappears, you can easily bring it back as I show you below! 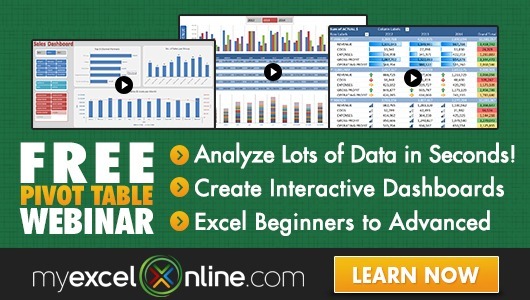 STEP 1: To show the field list, Right Click on your Pivot Table and select Show Field List. 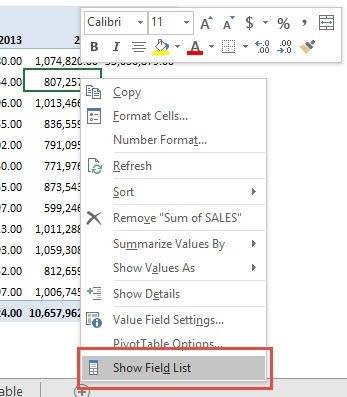 Your PivotTable Field List (renamed to PivotTable Fields in Excel 2013 and onwards) is now showing! 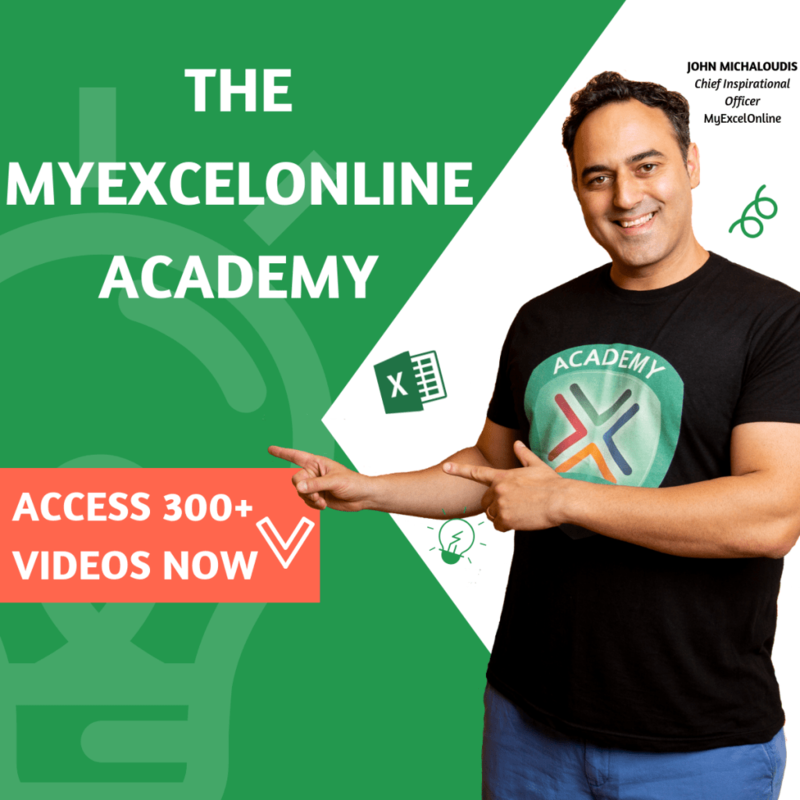 Let us show in the next step how to hide this. 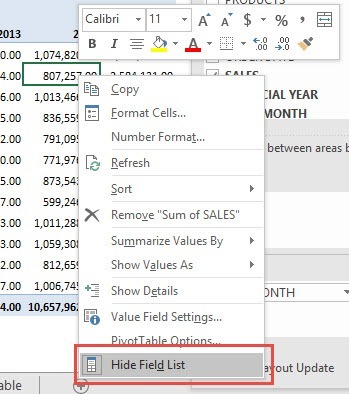 STEP 2: To hide the Field List, Right Click on your Pivot Table and select Hide Field List. 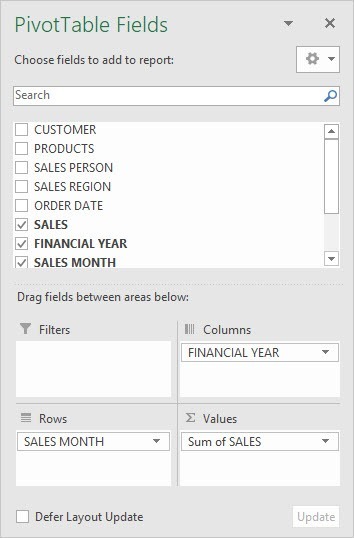 Your Pivot Table Field List is now hidden!